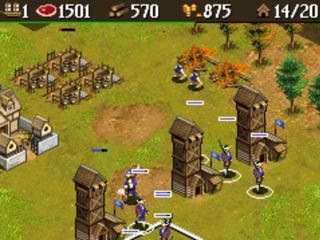 داغ داغ بازی Age of Empires 3 N-Gage 2.0 برای انگیج به صورت ک ر ک نشده رسید ! اینم نسخه trial این بازی محبوب استراتژی برای شما عزیزان. امیدوارم ازش لذت ببرید .بخ محض ک ر ک شدن براتون قرارش خواهم داد. ®III – N-Gage represents an evolutionary step from the previousinstallments in the acclaimed series. 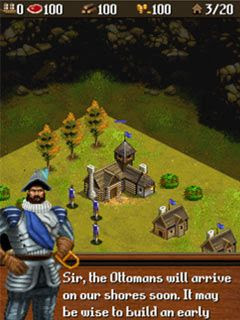 The focus of events shortlypredates the campaign of the PC version, chronicling the events leadingup to the first mission. 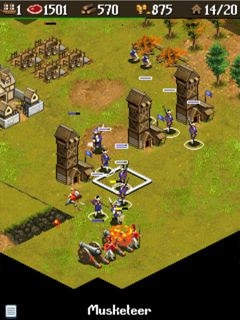 As the player defeat enemy units andbuildings, they will be awarded with experience points. Experiencepoints can be used in conjunction with support cards to summonreinforcements and resources from the player’s home city. New supportcards are awarded for completing battles. With each victory the playerwill be presented with an achievement breakdown, which is recorded tothe player’s profile and compared with other players on mobile andonline. and all of the Series 60 v3 devices !! نه دوست عزیز این برای نوکیا سری 60 ویرایش سوم هست. البته برای گوشی شما باید جاواش باشه. البته این برای گوشی های 220*176 هست.